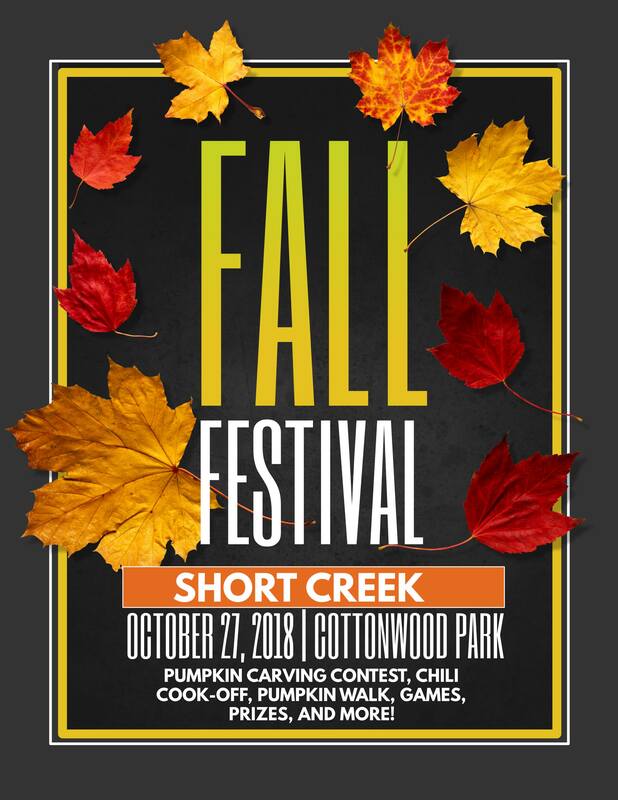 If you are interested in joining us and our amazing team of friends and volunteers by helping partner with locals in Colorado City and Hilldale to help beautify the yards of some local Short Creek residents, we will be traveling down the weekend of October 26th – 27th, 2018. The weekend will be full of amazing opportunities & events, you as a volunteer are welcome to attend whatever you can. Dates are Oct 26th – 27th. Project day will be the 27th. We’ll arrive Friday evening and cozy up for a slumber party that night with us in a large polygamous style home or feel free to find your own lodging. The service projects will take place on Saturday, start the day off with Breakfast at the Berry Knoll Bakery afterwhich we’ll spend the morning with local community members to help beautify some of their yards. The afternoon will be filled with fall fun including a pumpkin carving contest, chili cook-off (prizes and awards!). We will then go to a spook alley with proceeds going to the Short Creek community. 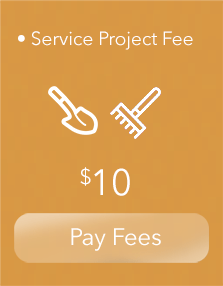 1- Cost for the Service Projects Day for all volunteers is $10 will reserve your spot on a project team. Fees will be used to cover supplies, the remainder going to Short Creek Festivities to help cover the costs of the festival. Note: No meals will be provided during the weekend, we will all be on our own this time around. 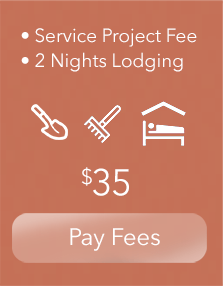 2- We will have lodging available for $25 for 2 nights, which will basically be a sleepover in a large polygamous style home. It should be a great time with awesome people, the more the merrier! Friday and Saturday night are covered in the $25 fee. Everyone is welcome to find their own lodging, you might start looking at places in Hurricane, St. George, and we encourage you to check out the lodging options in Short Creek to support the local community! 4. If you know anyone who would like to offer any type of financial support, please send them this link and let them know what we will be up to in May! As you all know, we are completely donation based and would love to do a great job with the decor at the Dream Center. That means we need to buy or have donated all of the necessary supplies. Any help is appreciated by volunteers and community members alike! If there are any questions/concerns, please feel free to contact us! All volunteers must first pay using the options below. After your payment is complete, you will be redirected to our sign up form. If you’d like to help but can’t make it onsite to our service project, please support us by making a donation to the project. The Fern Foundation is a non-profit Utah Corporation. All donations are tax deductible. © Copyright 2016 - Fern Foundation - All rights reserved.